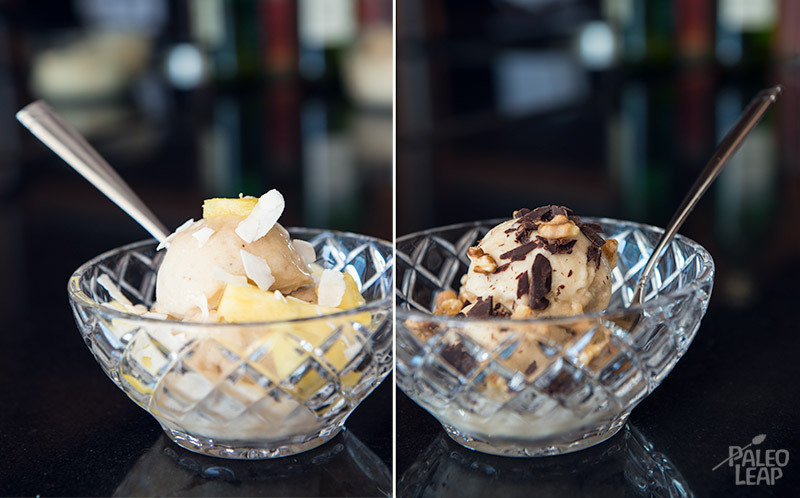 A Paleo ice cream recipe that’s simple, delicious and requires only one ingredient and no special equipment other than a food processor. Sounds too good to be true? Well that feat is indeed possible, thanks to the power of bananas to stay creamy when frozen instead of developing hard crystals like most other fruits would. Ice cream is usually prepared with a base of dairy, sugar and egg yolks that’s then churned with the help of an ice cream machine or by hand by vigorously stirring the mixture ever so often while it’s freezing. We have a Paleo version that improves on that by using coconut milk instead of dairy and that forgoes of the extra sugar, but it still requires quite a bit of dexterity and patience in the kitchen. This banana ice cream, while not being a real ice cream in the true sense of the term, is quite the opposite, given how easy it is to prepare. The beauty here is in the simplicity of whipping up a healthy frozen dessert with only one simple ingredient, but countless different variations can also be created simply by adding anything you’d like at the step where the frozen banana slices are processed to a creamy mixture. Things like cocoa powder, vanilla, fresh mint, cinnamon or a few pieces of another favorite fruit are all great options here. SERVES: 2-3 PREP: 15 min. + 8h. Start by peeling the bananas and cutting them into even slices. Place the slices in a glass bowl and into the freezer overnight. 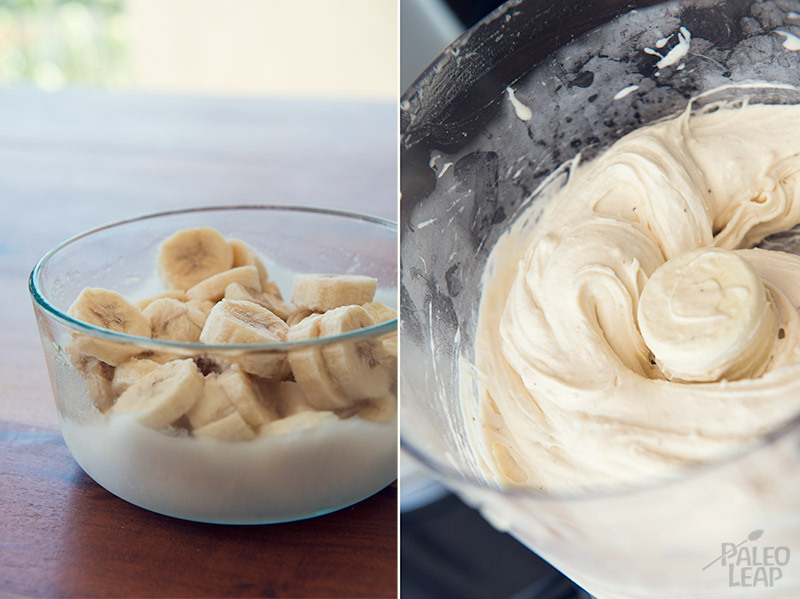 Place the frozen banana slices in the bowl of a food processor and process until smooth. This process will take a while and you’ll have to scrape down the side of your food processor multiple times with a spatula. The bananas will first become very crumbly, but you’ll eventually end up with a very soft and creamy mixture. At this point, place back in the glass bowl and in the freezer for just about an hour. You can of course always enjoy it right away if you like very soft ice cream.